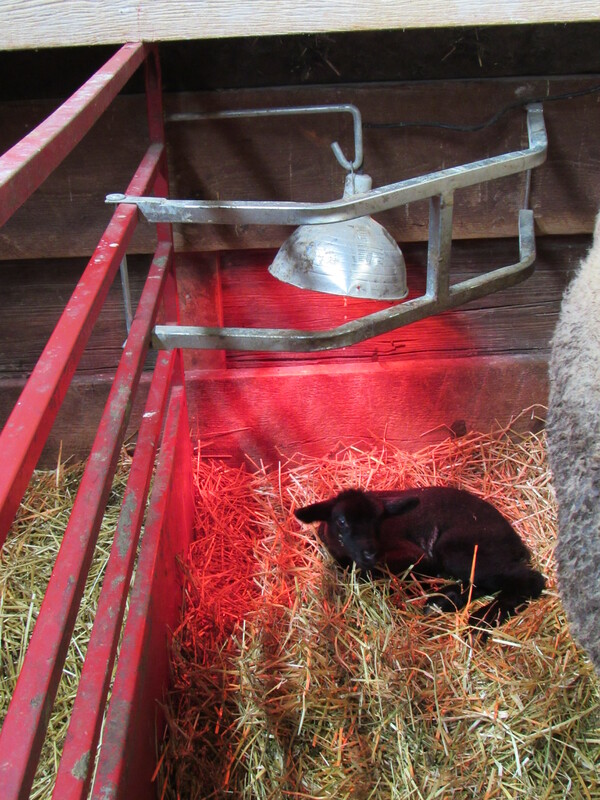 Keep lambs warm without taking up a lot of space while keeping the ewe from stepping on lambs/kids and backing up into the heat lamp and crushing the lamp/bulb with one of our Light Guards. 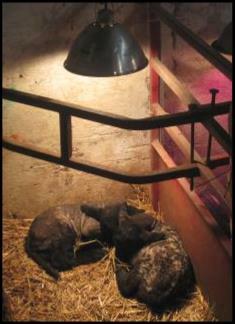 The Light Guard attaches to panels with two small pins and can also attach to a barn wall using small eye screws. 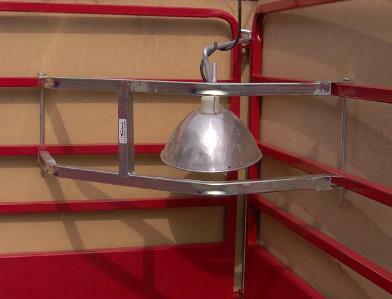 Use a Light Holder to easily hang your heat lamp in the corner of the pen by using existing drop rod and keep electrical cord secured. The Light Guard and Light Holder are zinc plated.